The SIUE Head Start/Early Head Start program serves more than 1,700 families and youth from birth to age five (including children with special needs) in St. Clair County. The program includes 14 early childhood centers, seven managed directly and seven collaborations. Services include a rigorous school readiness program, educational programs for family members, and health and dental screenings. 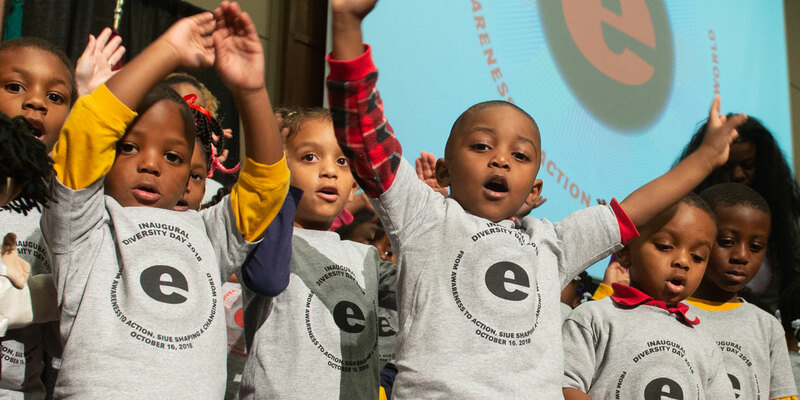 Four SIUE Head Start/Early Head Start centers received Gold Circle of Quality designations from ExceleRate Illinois. The designation celebrates early learning providers who meet or go beyond the highest quality of early childhood education standards. Several Head Start parents and teachers have received Parent of the Year and Teacher of the Year state and regional awards in recent years. A full 80 percent of Head Start participants show mastery in five out of six standards across all age groups based on the nationally recognized Teaching Strategies Gold Assessment.